Facebook announced this week that the social network’s search function has been expanded to include every publicly available post in the platform’s massive archive of millions of users. This puts Facebook’s search functionality closer in line with how Google’s popular search engine operates. This also means that every public post, even ones not posted by someone in a user’s friends list, can now be searched. Facebook says it will section and stack search results depending on the type of information the user is looking for, according to a recent official blog the company posted about its new search features. The first search results will primarily consist of popular, mainstream news sources such as CNN or NBC, followed by posts created by friends, and finally an aggregated list of links related to the search topic in question. Search results will reportedly be personalized for each user and will take into account what Subjects and Pages the Facebook user creating the query has included in their profile. While this new search feature might sound slightly scary to Facebook users who might prefer the silly things they posted on their wall when they were 16 remains hidden, as long as the original post isn’t classified as public, it won’t be searchable. Only public Facebook posts and content are included in the social network’s new, more extensive search capabilities. 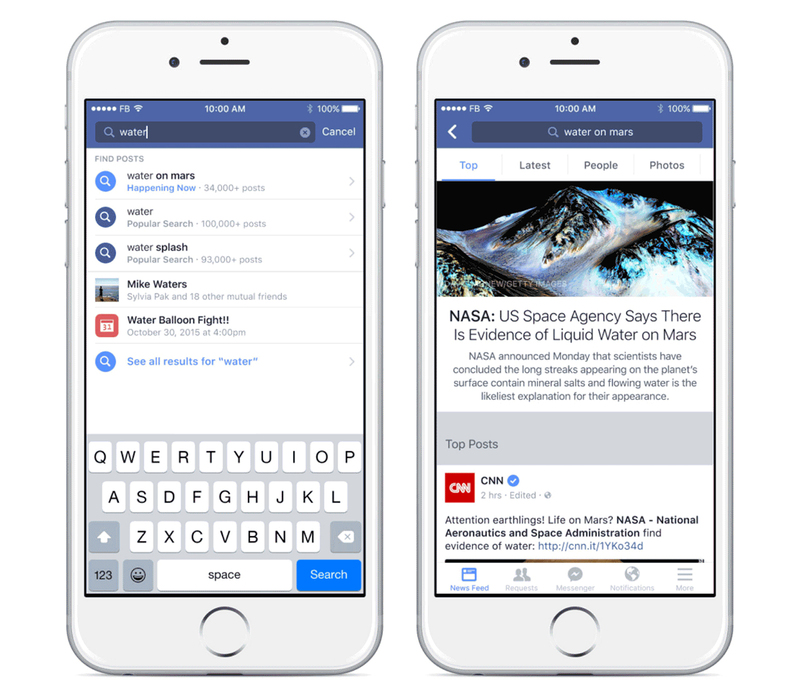 Facebook’s new search functionality is rolling out across iOS, Android and desktop over the next few days.